"Wire data is not only comprehensive, it is completely objective." Data sources serve the enterprise best when they are combined or integrated, be it physically or logically. This is a guest post by Robin Bloor, Co-founder and Chief Analyst at The Bloor Group. Business analytics has long been the favorite child in many organizations, as is evidenced by the sheer number of software and products that now flood the market. But the IT department needs analytics just as much as the line of business does, if not more. According to a recent survey by ExtraHop and research firm TechValidate, information professionals agree. With today's vast networks and new sources of data, it's high time to consider making strategic investments in the often-neglected organizational offspring: IT operations. IT systems are complex. Modern infrastructures combine legacy and nascent technologies, data from a variety of environments and many moving parts in between. An IT Operations Analytics (ITOA) approach can provide an all-encompassing, real-time view of the IT environment. The benefits of ITOA may not be completely obvious. Many organizations, after all, have already established performance monitoring and root-cause analysis software to swiftly identify system behavior. They have invested in resource management and security measures to keep an eye on availability and permissions. But more often than not, these solutions and the data inside them are siloed in different departments, and troubleshooting issues can result in a fun round of the blame game. Data sources serve the enterprise best when they are combined or integrated, be it physically or logically. But we're talking about oceans of data now. It's not just applications generating data: it's devices, machines, sensors, networks, etc. And each has metrics and performance to be monitored and managed, and each has patterns and knowledge to be detected and discovered. In short, it is big data for IT operations. Without the ability to operate on the entire dataset, mistakes will be made, opportunities will be lost and time will be wasted. "Data sources serve the enterprise best when they are combined or integrated, be it physically or logically." Nearly everything travels across a wire or through the air these days, and until fairly recently, this "data in motion" has been a largely untapped resource. IT can track packet delivery and dropped packets, but the contents of those packets has always been difficult to analyze, particularly when multiple errors happen at the same time. Yet, wire data is a wonderful source of data. It is not only comprehensive, it is completely objective. It is incapable of being anything other than raw data. And by turning unstructured packets into analytics-ready information, wire data delivers a more granular level of data exploration than we've ever seen. What's more, most teams across the IT spectrum are in some way using wire data. Network and security engineers, application dev/ops and DBAs all have the potential to glean value from this new, untainted source of data. And when they are all looking at the same data, instead of incomplete subsets squirreled away in departmental silos, the opportunity for collaboration and faster troubleshooting presents itself. But even the best-designed information system – with top tier analytics tools – is flawed without a critical component: visibility. Open ITOA architectures provide a real-time, scalable repository for data – wire data, machine data, agent data, etc. – that delivers comprehensive visibility across the system. It is only with this type of transparency that makes pattern recognition and multidimensional analysis possible. In the end, ITOA architectures provide the means for IT to proactively manage its environment for performance, scale and security, while at the same time increasing business value through greater reliability and stability. It's a win-win scenario, and one that, incidentally, shrinks the dollar costs by virtue of efficiency and time-to-resolution. A handful of vendors provide extensive support for ITOA, and with the influx of big data and the driving need for immediate discovery and insights, organizations will need to act fast to strategically invest in this approach for operations. While the low hanging fruit for ITOA efforts centers around root cause analysis, network monitoring and security, it is obvious that there are broader applications, such as capacity planning and configuration management. Organizations would do well to adopt the ITOA approach sooner rather than later. 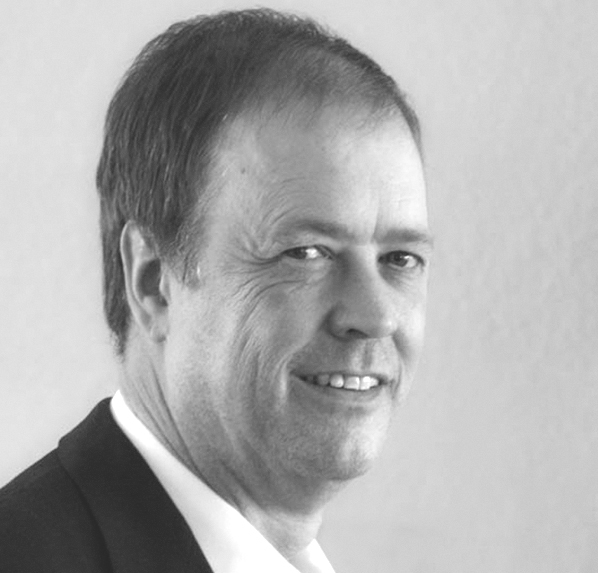 Robin Bloor is the Co-founder and Chief Analyst of The Bloor Group, and has more than 25 years of experience in software development, IT analysis and consulting. Robin is an influential and respected researcher and commentator on many corporate IT issues particularly in the areas of BI and software development. He is a presenter and speaker at many IT industry events in the U.S. and internationally. He is also a published author, recently coauthoring, The Algebra of Data, as well as a business bestseller on electronic commerce entitled, The Electronic Bazaar, and three Dummies books on IT, including SOA for Dummies.